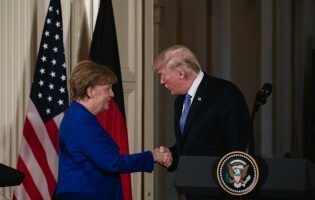 The American-German Situation Room is set up to provide office space for German journalists, academics, and policy thinkers seeking to immerse themselves in Washington policy circles to better understand the currents and trends of political debates. A joint initiative of The German Marshall Fund of the United States (GMF) and the American Institute for Contemporary German Studies (AICGS), the project offers an opportunity for German experts to spend time in Washington, studying developments in the United States that are of central importance to American-German relations. AICGS offers guidance in integrating into networks and institutions in the U.S. capital, including the new administration. 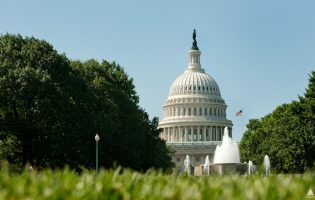 Participants have access to select programs sponsored by AICGS and GMF in Washington, while also being assisted in connecting with a range of other organizations, government offices, individuals, and interest groups. Successful applicants will be considered visiting fellows at GMF’s and AICGS’ joint “American-German Situation Room” in Washington, DC. The fellowship includes a free desk and wireless Internet access at GMF’s headquarters (1744 R Street NW, Washington, DC 20009). Please note: Visiting fellows are responsible for their own funding resources to support their stay (housing, meals, health insurance, etc.) and travel. It is also expected that visiting fellows bring their own computers and mobile phones. A cover letter which explains your motivation and interest in German-American relations and also provides details about the time frame/potential starting date as well as what you would focus on while in Washington, DC (and possibly other parts of the United States). We accept applications on a rolling basis for stays through Spring 2019. Please send your application to Ms. Franka Ellman (fellman@gmfus.org). You may also contact her via phone for further inquiries (+49 30 288 1362). There is no set time frame; each candidate can determine the duration and starting date of the visit. The program runs through March 31, 2019. Travel and study outside of Washington, DC, are encouraged. Please indicate your preferred starting and ending date in your cover letter. What is expected once accepted into the program? Each visiting fellow is asked to contribute an article to AICGS’ website, which reaches AICGS’ diverse audience in Germany, Europe, and the United States. Essays should be approximately 1,000 words and should pertain to the German-American relationship. Only candidates who hold a passport from a country not part of the Visa Waiver Program need to obtain a B-1 visa prior to their entry into the United States. Information regarding the Visa Waiver Program is available on the U.S. Department of State website. Information regarding the B-1 visa can be found here.